In an article by USA Today Gareth Edwards is interviewed regarding his thoughts on the upcoming Godzilla movie. 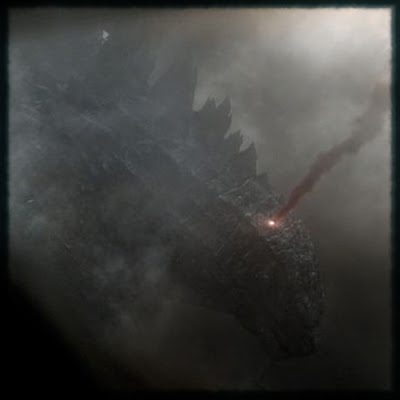 Below are few choice excerpts that speak to his approach and what parts of the established Godzilla lore he will be pulling from. It's Godzilla's name on the marquee, yet Edwards didn't want to humanize him or give him too much personality. "To me, he's like a force of nature, like the wrath of God or vengeance for the way we've behaved," Edwards says. "If this really happened, it would be like Sept. 11. "I want it to be epic. I want to get the hairs on the back of your neck up." "It's the closest thing to being a god as I think there is in terms of a job you could have," he says. "You picture something one day and draw it, and the next day, it's physical and there in front of you no matter how insane." In addition to the original movie, the Monsterland conceit of the 1968 Godzilla flick Destroy All Monsters also plays into Edwards' film, with its exploration of mankind having to deal with a reality full of huge, deadly behemoths — the director teases that there is more than just Godzilla smashing around. "I've just got a secret fantasy — well, it's not very secret anymore — about living in a world where there's fantastical things like giant creatures and what it would really be like and trying to take it seriously," he says.